At ShimBi Labs, simplicity is the biggest motivation for us, and it reflects in our people, office and our products too. I developed the appreciation for simplicity from Steve Jobs and the product he created at Apple. Simplicity works because the world is so complicated, and when you do something simple, it stands out. People need a good product with advanced capabilities and high usability, but you need to make that in a simple way. Customers love simplicity. With the simplicity, they feel an emotional connection with the product. And it is important for any product to success. Many a times people are confused about their needs and desire for lots of features in products they buy. They find it difficult to control that desire for many features and end up buying complicated products. After few days, they simply stop using those products and move on to other. As a product developer, we must educate customers and provide them option to try simple products that just works! If people are attached to the product, they will keep buying it or upgrading it. If people love your product, they will tell their friends and family about it. Do fewer things but do it better. Your product should make customers life simple; it should amaze them every time they use it. Unlike Dell and HP that gives 100s of PC & Laptop choices, Apple kept it simple with just 4 Mac choices! Two choices each for home users for Pro users. Apple made selection and decision process simple for customers. And Apple makes more money than Dell and HP combined. But being simple is not simple, being complicated is really simple. Don’t do anything, and everything will turn complicated. At ShimBi Labs, we take one problem and build a simple product around that it that just work. We work to amuse the customers. Let me know what is your thoughts about Simplicity? India’s innovation problem is not something that an award can fix. But its a step in the right direction. The department of science and technology is calling applicants for the “National Awards for Commercializable Patents,” in a bid to make more innovative products available to the society [source]. The awards were first introduced two years ago. The program seeks to recognize the innovative potential of Indian Nationals as well as Micro, Small and Medium Enterprises (MSMEs) who have developed innovations relevant to the industrial and societal needs. The award will carry a sum of Rs 5 lakh and a certificate. Selected innovations may be also get an additional Rs 5 lakh on commercialization of the awarded patents. The selected innovators will also get to use the the TREMAP, a government initiated innovation program. The primary objective of the program is to help commercialization of patented technologies and will give a greater emphasis to those that have good commercial potential but could not be commercialized due to lack of resources and expertise with the inventors. The other objective is to establish an enabling ecosystem in the country to facilitate linkages of the innovative technologies with market. Any Indian national or micro/small /medium enterprise who already has an Indian patent can apply. 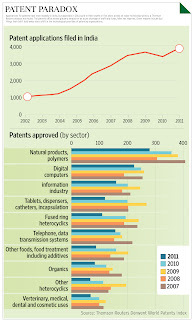 The year of grant of patent should not be before the year 2010 and the working prototype should be ready. In 2012, the award was granted to 8 patent holders including the ones that held the patents to improved grinding machine for paste and powder making in wet and dry condition of soft material and device for mitigating shock waves and induced forces during explosions. The last date for receipt of applications is August 14, 2013 and more details and the forms can be found here. The central government has also implemented a five year scheme through which small enterprises can claim up to 50% of patenting costs from the Government. There are various reasons why commercial innovation is really low at Indian institutions. Deepam Mishra, CEO, i2india Ventures lists out factors including wrong incentives and lack of early stage investments among others. Hopefully, these initiatives will help at the early stage. What will it take to build an Apple or Google out of India? This is a question we often ask, and you might recall that I gave one perspective on this in my Outlook Business column some months ago. 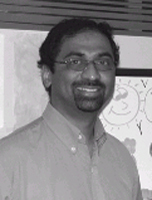 Sanjay Nayak of Tejas Networks has devoted the last decade to building high tech telecom products out of India. He is passionate about building a supportive product ecosystem in Bangalore/India. So, when he invited me to moderate a panel discussion on “Fostering an Innovation Economy in India: Issues, Challenges & Recommendations” at the IEEE ANTS 2012 conference at Bangalore last week, I jumped at the opportunity. We had great participants – Vishy Poosala of Bell Labs, VVR Sastry of CDOT (former CMD of Bharat Electronics), Srini Rajam of Ittiam, Satya Gupta of concept2silicon (and present chair of the Indian Semiconductor Association), and Ishwar Parulkar of Cisco, I had requested each participant to start with a short account of a successful innovation project they had been associated with in India, and what made it work. Since we hear so much about the obstacles to innovation in India, I thought some bright spots may offer ways around these. And, a real treat followed as we got some insightful examples from all the speakers. Vishy started by describing an interesting phenomenon his team noticed. Rather than download songs legally available through mobile service providers, mobile owners preferred to buy songs from a corner store. The obvious reason was cost – it’s much more expensive to buy songs “legally.” Why do downloaded songs cost more? His team found out that the reason for this was that the service providers had congested networks, and therefore did not want to promote downloads that would congest their networks further. Bell Labs India proposed a solution to this problem – a “Mango Box” which could push content to users at off peak times when there was no congestion, and hence songs (or other content) could be sold cheaper. While they managed to commercialise this product in India, revenues were never big enough to excite AT&T. Ultimately, “Mango” got traction when it was deployed in the US for use on AT&T’s iphone network. The lessons? Address local problems, but look out for global problems where the same solution can be applied.Vishy mentioned that AL ventures, an internal venturing arm of Alcatel Lucent played a key role in making this cross-fertilization happen. 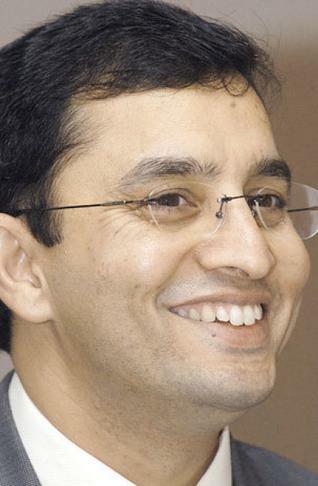 Srini went next. Ittiam has completed a successful decade of a focused IP play. It earns all its revenues from licensing IP it has created. In 2009, Ittiam identified that the then smartphones did not have the capability to play HD video. Creating that capability was non-trivial because it involved change in the software architecture and working with both handset and silicon players. There was a window of opportunityopen, and Ittiam sought to address this by quickly creating the IP, filing a patent and then working with the players to implement it. Not only were 10 million phones incorporating this IP sold in the first year, one of Ittiam’s major clients highlighted the HD video playback in its product marketing collateral. Based on this experience, Srini stressed the importance of innovation as a process – the spark (idea), followed by implementation, and then business impact. Clearly, as in the Alcatel Lucent case, choice of the product is key as well. After CDOT’s pioneering efforts on switching for rural exchanges in the 1980s, CDOT disappeared from public imagination. While it has continued to be involved in strategic projects, it’s no longer “visible.” Sastry of CDOT gave one example of how CDOT is trying to change that. Mobile base stations are power guzzlers and are already being targeted by environmentalists for their high carbon footprint. At the same time, rural call rates are not always high, and rural cellular infrastructure is under-utilized. CDOT is trying to solve this problem through shared GSM radio. With the regulators possibly allowing spectrum sharing, this could be a way for better utilization of rural cellular infrastructure. While admittedly a late life cycle product with an emerging market focus, this has the potential to lower costs yet provide multi-operator service in rural locations. Sastry stressed “right product at the right time”, providing a “total product concept” and keeping up the motivation of engineers. Satya Gupta’s company Concept2Silicon is just 3 years old. He encourages innovation through Friday brainstorming sessions. He stressed the importance of aligning new product ideas with needs and timing. In particular, he underlined the importance of aligning products to local conditions and price points. He outlined one important opportunity. Education is rapidly shifting from the traditional classroom to electronic media. But the electronic media used in the classroom are not interactive and don’t allow the teacher to adapt/change content or modify / add comments easily. Interactive whiteboards are available, but they are imported and too expensive. This is an area where Concept2Silicon sees product innovation opportunities. 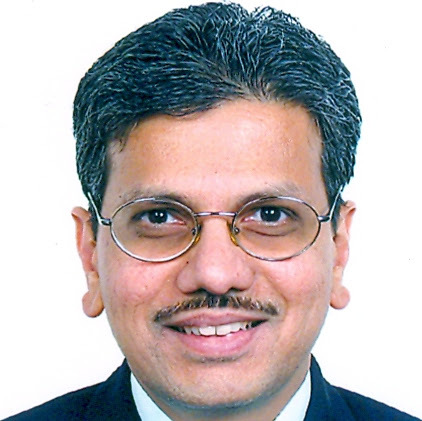 Ishwar is the CTO of Cisco’s Provider Access Business Unit in Bangalore. He shared the highlights of the ASR 901 router, the first product developed end-to-end by Cisco in India (see my earlier post on this project for more details). Defining what product to build in India was critical – they chose a router for access providers (= mobile service providers) not only because this was a relevant market in India but also because this was not a core segment addressed by Cisco’s existing products. Scale, reliability and monetization were 3 key criteria for Cisco. To build the product in Bangalore, Ishwar’s team had to persuade vendors to enhance their local capabilities. They also had to transfer knowledge in certain areas like certification. Thus product development efforts involved building a local ecosystem. 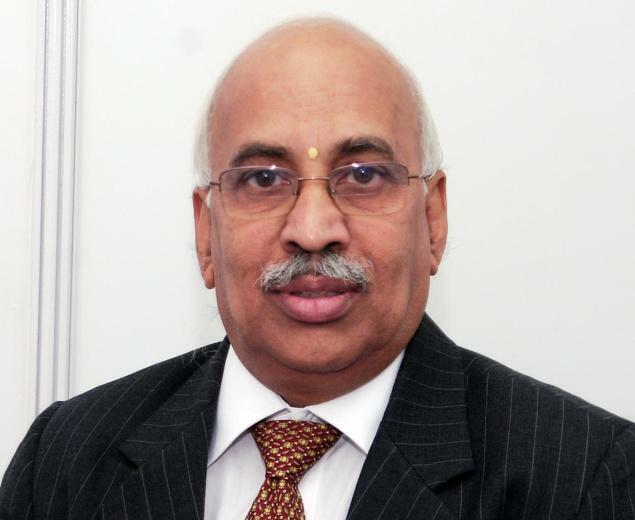 The third element was creating an appropriate organizational and operational model – there were 3 stages: an incubation stage (under the radar) till a concept could be proved, a stage of scale up with “borrowed resources,” and a third stage of mainstreaming with more funding.Today, ASR 901 has a market not only in India, but across the world. 1. Will India be restricted to “late in the life cycle” or niche products, or will we be able to come out with genuinely new products? 2. 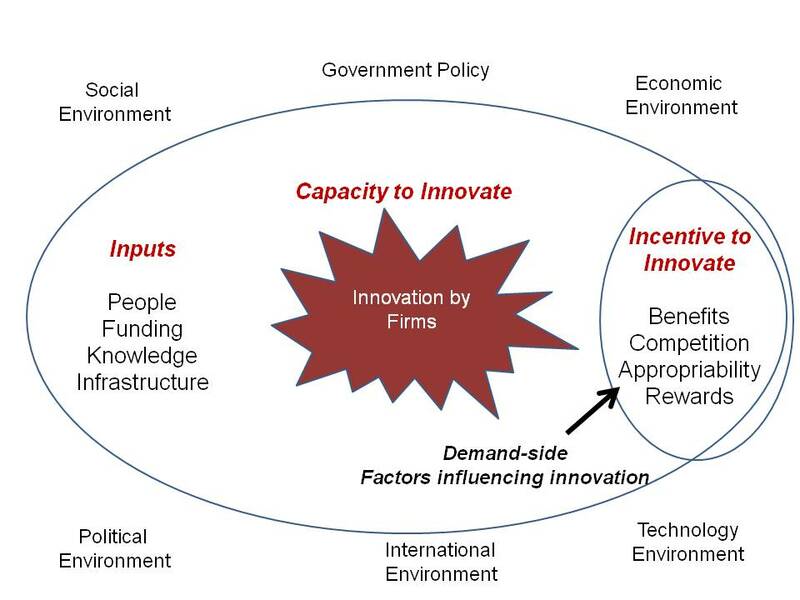 What needs to be done to improve the innovation ecosystem? 3. How does India compare to China on the innovation front? 4. How can we improve collaboration between academia and industry? 5. How can we enhance the economic dividend to India of innovation activities here? Most of the comments in response to the first question identified the usual obstacles to creating really innovative products from India: hierarchy in Indian society (vs. the questioning attitude required to do genuine innovation); fear of failure; the education system; and inadequate private sector investment in R&D. There was agreement that many of these things are changing, and the future looks optimistic. 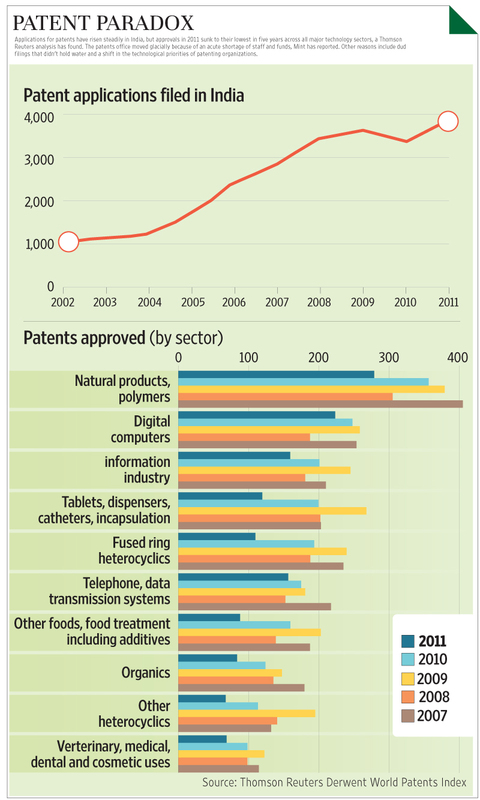 But the slow growth of private sector R&D investment continues to be an issue of concern. Satya Gupta had some very specific and relevant suggestions on improving product innovation. His own experience in his company has been that even the components required for product innovation are not easily available, and often need to be imported with delays of upto 3-4 weeks. This slows down the innovation process, and also demotivates the innovator. He called for the setting up of resource centres – he called them ESDM innovation centres – that are fully equipped and ready-to-use for experimentation. This will help start-up entrepreneurs quickly try out new ideas. There was broad agreement that China has been able to do several things on a scale that India is unable to even dream of – these include development of infrastructure, education in science and technology, funding for start-ups etc. China has a strong desire to dominate telecom and has therefore supported the creation of large corporations like Huawei and ZTE. In contrast, India lacks a strategic orientation, is unable to spend the R&D money committed because of cumbersome bureaucratic processes, and is no longer even the source of the largest number of graduate students abroad. Regarding academia-industry collaboration, speakers pointed to the incentive systems in Indian academia that appear to favour academic research resulting in papers and do not give importance to industrial R&D. A specific example was given of a person with considerable international corporate R&D experience who was denied a job in one of the IITs because she did not have adequate research output (=papers in journals). The fifth question – economic dividend for india – prompted an interesting discussion around value capture in the innovation process. Sanjay Nayak wondered aloud whether Indian companies need to invest more in marketing and branding if India is to capture more value. There was a broad agreement that collaboration was key to improving the economic returns to India – and that even multinational subsidiaries in India may gain from collaborating with each other rather than trying to “sell” their innovations to reluctant managements in the developed world. Does innovation have to be a struggle? Or can it be the mainstream of a company’s activities? Many speakers pointed out that innovation involves change, and most human beings don’t like change. Hence innovation will always involve overcoming obstacles. Ishwar pointed out that even in Apple, ideas are hard fought. But I felt that companies like 3M, Google, and our own Titan have shown that innovation can become a more routine activity of the company. I see confidence in our abilities to innovate from India growing, and that’s a good thing. There is a new generation of innovation evangelists returning to India (people like Vishy and Ishwar) who are determined to make things happen here. At the same time, we have people like Srini and Sanjay who have shown that good innovation can come out of India and that it’s possible to run innovative companies here. Of course, it’s not easy, but I see the formation of a critical mass of people who know how to make innovation work. Let’s hope a lot more people get inspired by their examples in the days to come. Product companies will constantly change business plans, product ideas, and offerings to meet the ever-changing market opportunities, Piyush Singh, CIO, Great American Insurance Co.
Piyush Singh is the Chief Information Office (CIO) and Senior Vice President at the Great American Insurance Company—a property and casualty insurance company, and Vice President of it’s parent company, American Financial Group [NYSE:AFG]. Under his direction and vision, Great American’s IT department has transitioned from supporting a legacy IT environment to become a trusted player in the company’s business success—offering agility and adaptability to align with the executive vision. In this interview, Mr. Singh shares his observations on innovation in Indian software companies, product development, and how large IT companies could accelerate the pace of product innovation. Piyush, you have been watching the Indian software industry over a period of time. What are some of the changes you see now especially in the context of the software product industry in India? The Indian software Industry is the envy of many countries around the world, and numerous governments and business associations have been trying to emulate its model. It has made a significant difference in elevating the professional services job market and provided the necessary fillip to the country’s infrastructure—transforming sleepy suburbs into high-tech cities with world-class facilities. The Indian software Industry contributes $67B to the economy in direct revenue, but delivers a bigger economic impact (probably tenfold) when you think of all the tertiary employment it generates and the indirect revenues created. Yet, this phenomenal growth has been a result of labor pricing arbitrage, and many of the large companies that lead the software services are today challenged by lack of innovation and intellectual property (IP). Yes, outsourcing and large services contracts are definitely attractive but unsustainable in the long-term. 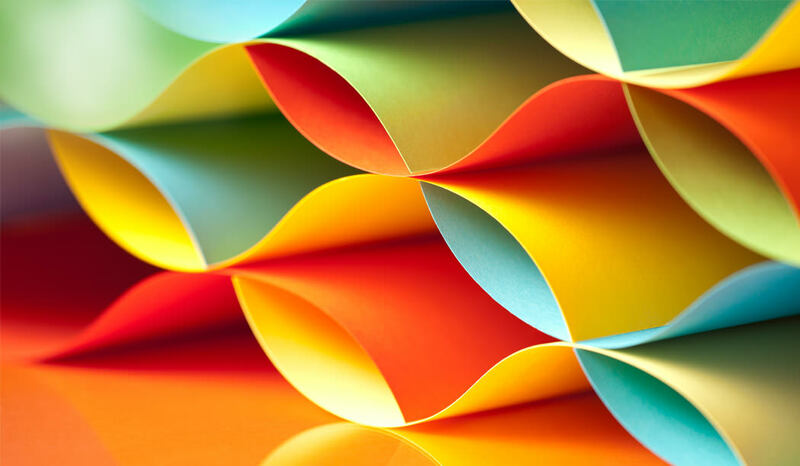 Sustainable growth and maintaining unique value propositions demand significant investment in IP—and this needs to be more than just systematizing processes. I do not see IT services companies investing in actual development of product portfolios that might address vertical markets or provide horizontal solutions. Typically, I see global services brands create deliberate pools of internal innovation that harnesses the knowledge of its workforce or buy IP-based companies to provide them the necessary scale for reach and investment. So far, I’ve seen neither processes here, but am hopeful that this will change. Culturally, do you think Indians (and this is very broad considering our diversity) are risk takers and willing to start out businesses? Or are they averse to taking risks? I don’t think so, and there are numerous examples of our appetite for risk—numerous Indians in the Silicon Valley have taken their start-ups all the way to public offerings. What I have noticed is, we tend to invest in real estate—really investing for the long haul. Today, I find ourselves increasingly accepting entrepreneurship and its risks, even as senior executives leave large corporations to do something more meaningful, and different. But these new companies will need significant capital and gestation periods before they begin to show results. This is in contrast to the services industry growth that sets an average 20-30% growth every year—leaving start-ups struggling to showcase such growth. 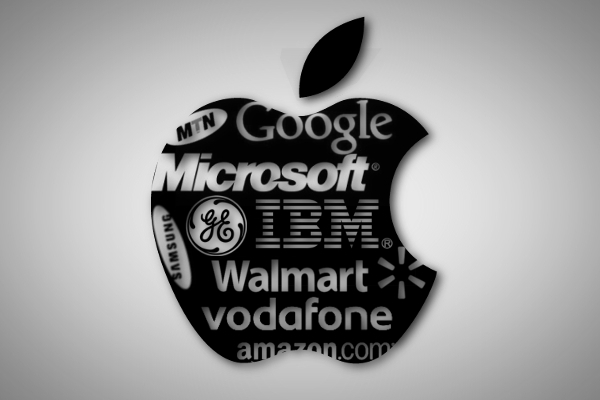 The risks and returns are completely different in a product company—Oracle, SAP, Microsoft, Apple are all shining examples of IP-led revenue-generators. Their valuation and market sizes are incredibly spectacular. But they didn’t grow into such successes overnight. Product companies will constantly change business plans, product ideas, and offerings to meet the ever-changing market opportunities. These evolutions take time, effort, and capital—ask any Silicon Valley venture capitalist. On the other hand, if you read the balance sheets of many of the services firms, they have idle cash, and great market reach. It will be a win-win for all if they use the cash to fund or accelerate the incubation of products that they can take back to their markets. What is your take on emerging companies in the product space? We see, for example, many of them are developing apps and very few seem to be venturing into the enterprise or B2B space. Do you agree? I agree completely. In the insurance space, for example, of all the companies out of India I’ve worked with, only a few have made any real IP investments—MajescoMastek, PlanetSoft (acquired by Ebix), L&T Infotech, and Mphasis. But if you see the revenue portfolio of the top 200 services firms out of India, the financial services industry is a leader in driving investments. 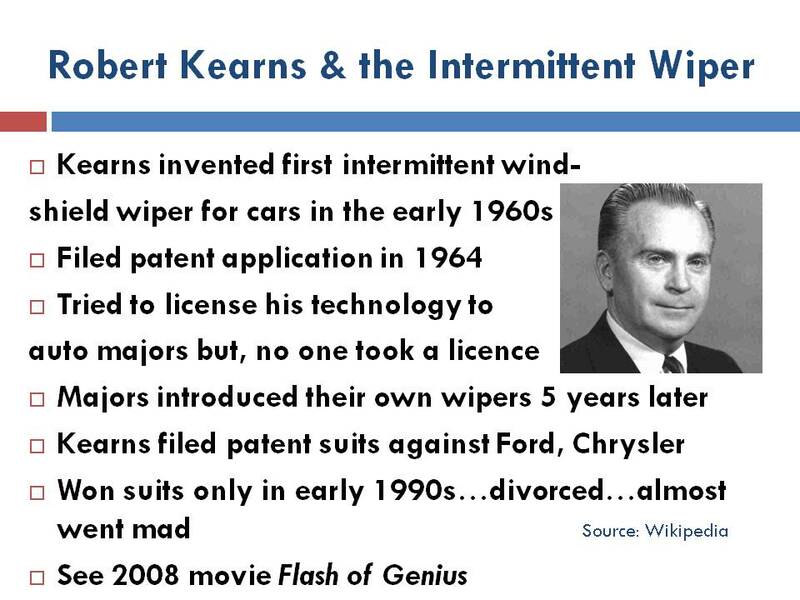 And only a handful companies have made any IP-led investments. Strange, don’t you think? What’s interesting is that it’s not that India doesn’t have the talent: every large US-based company (Microsoft, HP, Cisco, IBM) have a lot of product development out of India. The capabilities and talent definitely exists—we need the larger Indian companies to show the way. They should make use of the talent that exists in their own setups, sponsor ideation, build incubators and make a directional investment in product development. They should stand up to explain their actions and the promise it holds. Analysts might not like the idea initially as it does not fit in their current forecasting models but as they realize the potential and see results over time, they will warm up to the concept and probably push for higher investment. I would argue that Indian companies do bring in a lot of process expertise in any project that they manage, so they can definitely build processes that would seek ideation and lead to valuable IP. What’s your view on innovation in the Corporate environments? Innovation has become a necessity for existence. As Robert Murdoch, Chairman and CEO of News Corp aptly said, “The world is changing very fast. Big will not beat small anymore. It will be the fast beating the slow.” Innovation is being taken out of R&D labs and becoming the fabric of the entire company and an integral part of the culture at all levels. If it’s not happening, it can hurt them. Look at what’s happened to Kodak—they invented the digital camera concept but now the only value left is in the patents which they filed. Blackberry (RIM) is facing a similar situation – in May of 2008, of the corporate companies surveyed 82% of them were looking at buying RIM based Blackberry’s. Their lack of innovation in the world of user experience design has left them in a situation no one wants their company to be. Do you think a major contributing factor in the last couple of years has been contributed by bandwidth availability, relatively easier capital and technology disruptions from areas like cloud computing? Have these leveled the playing field? 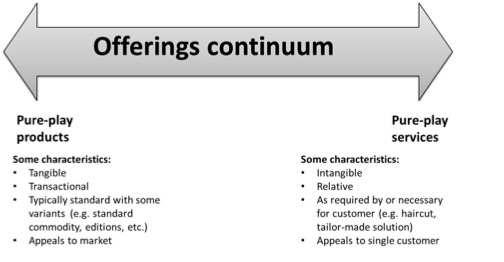 Well, these not only level the playing field but also give you an opportunity to differentiate your offering. For example, cloud computing levels the playing field, making it a lot easier for people to invest in or explore new products as long as you provide open integration points,a level of flexibility and a blueprint for future innovation. Commoditization brings prices down but forces you to decide on the USP that would help your company stand out. You need to balance commodity with strong uniqueness so you can leverage both benefits. People who are going to be nimble and fast, and people who respond to these paradigm shifts are going to emerge the winner. The key lies in how quickly you react to market forces and how adaptable you are. Any country that can produce a model of constant adaptability becomes a much more stronger player in the long haul. Five years ago a typical software strategy didn’t take into account elements like user experience design, predictable analytics/big data, mobility and enterprise social networking. If you’re a ten-year old product company or a large services firm, it’s a little tougher to make a shift to embrace these elements. If you’re a smaller company though, and you’re nimble and watching these trends closely you can adapt to them quickly. It depends on how leading edge you are, because people are always talking in the context of ‘now.’ Mobility has been on the forefront since early 2008—but companies are still exploring mobile apps. Big data has been there for 3 plus years—but how many people are truly exploiting the value of this data? Enterprise social networking helps companies capitalize on people, collaboration and sharing better. It provides individuals more command and control—if the person at the lowest level comes up with a bright idea, everybody knows who to give credit to! So you Piyush – if you had to give some advise to product companies or people who are venturing into the software product element India, what would you say? Identify a domain where you see that there is market opportunity and don’t look at what is currently being offered as a solution. Try to look 3 years ahead and try to build it around the emerging model of doing business—it’s about how you’re going to do business tomorrow, not how people work today. You’ve got to balance domain expertise with people from outside so that you can think differently. You can’t have people who think the same way all the time. You need to understand how to incorporate User Experience Design—making people react and say “It is obvious.” Product companies have the advantage of disrupting the existing ways and changing the model—that’s what DELL did with PCs, Amazon with the book store, and Netflix changed movie watching at home. You should be willing to find a charter partner who can help you to bring about change and break the current paradigm. Once you have this, you’re on the path to building a product that will succeed. Don’t just be happy with what you have and what you build. You really have to be dissatisfied with the present and galvanize resources into action. This requires a fundamental shift in the group mindset, how we operate and how the company is structured. We need to learn from the old Chinese saying ‘let a thousand flowers bloom’ – not just the management ranks! Don’t make random calls and hope that there will be sales. Learn the market, understand the potential buyer fully and then target with laser focus. Do not take a shot gun approach and hope that it succeeds. Which 5 product companies or fields are you interested in meeting? Companies that are involved in new and novel concepts that challenges any business model. I want to be challenged to look outside my standard thinking model. If you are keen to meet with Piyush at NPC. Do drop in a mail to us at [email protected] and we will get back to you. Is Software Innovation an Art or a Science? It’s Artful Science or Scientific Art! When we think of Software Product Innovation, we imagine getting “Eureka!” moments 3 am in the morning, getting up and writing down inspired thoughts and coding them the next morning! Reality is much more mundane and is more of evolution rather than sudden insprirations from the sky! Yahoo started because Jerry Yang and Filo just wanted to create a searchable directory of information first at Stanford University and then San Francisco in general! facebook started as a teenage testorone-fueled comparion site for Harvard students to post pictures of fellow girl students and rate who’s hot and who’s not! From there it evolved into directories of students in universities to find each other for dating more than anythingelse. For a long time, facebook signed up university by university and not the general public-oriented thing it is now! This stands for enterprise software products also – Oracle Relational Databases were less expensive, clumsy knock-offs and replacements for Digital Equipment Corporation’s RDB/VMS relational database system. Before Microsoft Word and Excel spreadsheets, there were Lotus Ami Pro and Lotus 123! Before Google search, there were DEC Alta Vista search engine and Yahoo! 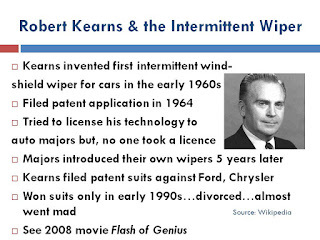 What made all the successful ones innovations in their own right were not just technical superiority but they took useful innovations and products before them and fixed annoying problems with their usages or expanded the concept of who can use them additionally or fixed usability problems with them. Or they took an older concept and applied it to a new platform! Or took an older concept and applied it to a newer market! — Can I take something useful and apply it to a new market? eBay India was another company before it became eBay bought it and made it eBay India. Flipkart is India’s Amazon. Cleartrip is India’s Expedia! Make no mistake. They are not just copies. Flipkart uses courier delivery. Cleartrip is useful for buying train tickets less painfully than when going to the IRCTC website. They all add some value and difference! — Can I take something in one platform and make it suitable and applicable to another platform? Mobiile versions of applications may need to be differently designed and executed than an online, browser version of something. — Can I build a family of products around one idea with more features? Personal, Professional, Enterprise versions of software is a fairly standardized way of adding additional features but orienting them towards different markets. — Can I build a family of products that are related to each other but different from each other in functionality? Word, Powerpoint, Visio, Excel are all examples of slightly related products but providing different kinds of functionality. Many times, we think that innovation is coming up with something completely new,. Successful innovations have all fixed or fine-tuned something useful but had some problems that were preventing widespread adoption. Sometimes it is as simple as figuring out what these are and fixing them. And also thinking about related things so that you are thinking about a “family of products” rather than a single “one hit wonder”. 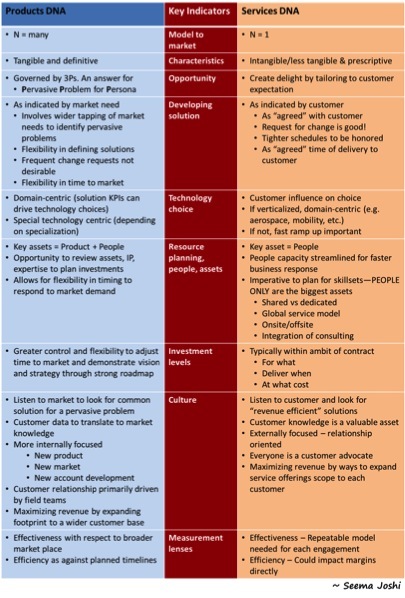 Innovation is the development of new customer value through solutions that meet new needs, unarticulated needs, or old customer and market needs in new ways. This is accomplished through different or more effective products, processes, services,technologies, or ideas that are readily available to markets, governments, and society. Innovation differs from invention in that innovation refers to the use of a better and, as a result, novel idea or method, whereas invention refers more directly to the creation of the idea or method itself. 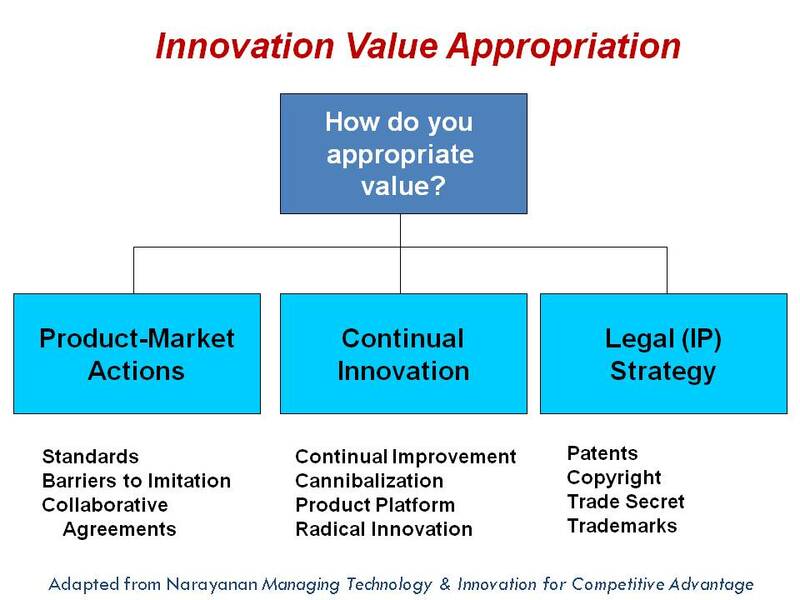 Innovation differs from improvement in that innovation refers to the notion of doing something different (Lat. innovare: “to change”) rather than doing the same thing better.